"Shh, my Nuala. I am with you. Today I shall teach you the newness of you." As The Engine breathes life into Nuala, her gaze falls on Teacher-Servant, the Chosen One. He alone will be able to hear her thoughts and interpret her innermost emotions. But soon Teacher-Servant starts to worry that Nuala will be able to give away her thoughts freely. 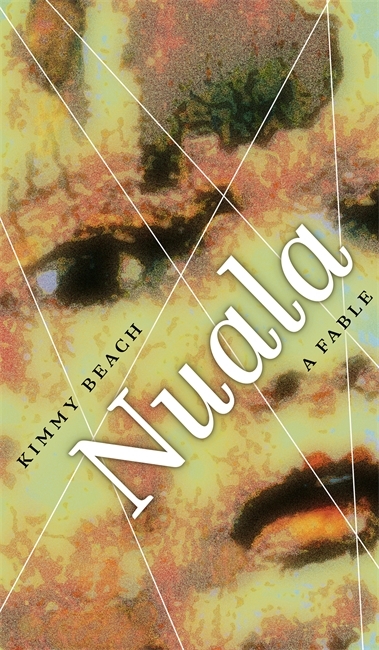 Set in an atypical dystopian world, Nuala is a startlingly original and inventive work, redolent of Margaret Atwood, José Saramago, and Kazuo Ishiguro. Beach’s dark, fearless imagination has created a time and space that are at once remote and strange, but absorbing and deeply credible. Nuala leaves the reader with much to ponder about the nature of love, possessiveness, jealousy, envy, and autonomy. Kimmy Beach is a writer, editor, and mentor. Nuala: A Fable is her sixth book. Her latest publication, The Last Temptation of Bond (UAP, 2013), received wide recognition. She lives in Red Deer, Alberta. From the start, the book has the power to take a reader on a journey that is wonderfully image-laden.... [You] get the feeling that every single word has been meticulously chosen... It's always polished but crackles with authenticity.